(TibetanReview.net, Jan20’19) – China’s poverty elimination benefits come with the condition that impoverished Tibetans who live on minimum subsistence allowances from the state stop worshipping the Buddha or face the prospect of their subsistence allowances being cancelled, reported bitterwinter.org Jan 18, citing interviews with local people. 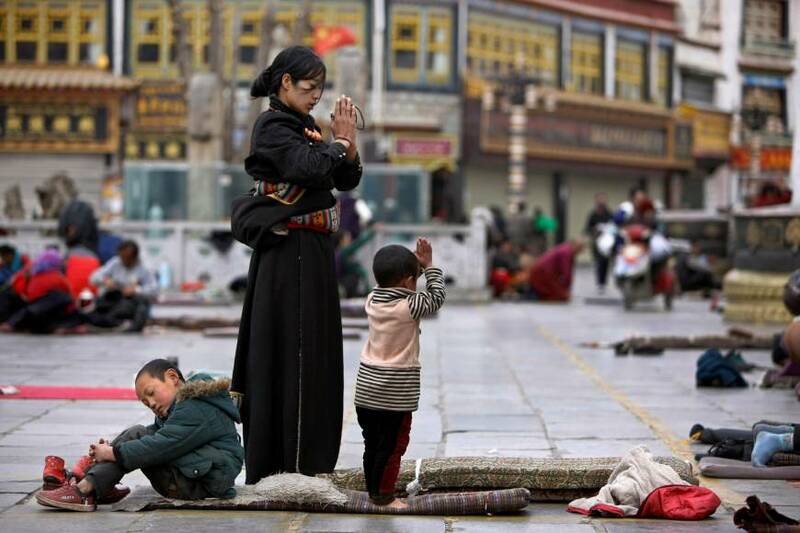 The Tibetan are instead told to adorn their altars with Xi Jinping, not Buddhas. The report said its finding was based on interviews with a number of Tibetans from Lhasa city, the capital of Tibet Autonomous Region (TAR), recently. The report also found that many of those Tibetans had become impoverished after the government appropriated their land several years ago, leaving them without income or food for survival. As a result many Tibetans unable to earn a living had to depend on the minimum living allowances provided by the government. The report said that after the ban on worship for recipients of the subsistence allowances was announced, Dolma, a woman in her 50s, was scared. She didn’t dare to perform Kora (doing religious circuit of sacred sites) or worship Buddha, as the authorities were monitoring her every move. The TAR authorities have set a goal to eliminating poverty in the region during this year. But the price of it seems to be religious freedom, especially in the case of those who have no alternative but to avail the government’s subsistence allowance benefits.